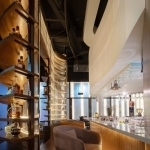 Hedge Bar ，located on the main floor of the Mounovation business center in ChengDu.The building encased by 3sides of ground glass wall and 1side of solid wall with ample sunshine and views that sit adjacent to a public square，to create a place where dynamic and tranquility balance perfectly，clear features，a rich visual sense and flexible zoning become the focus of the design in this case. 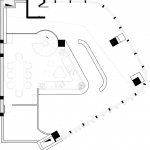 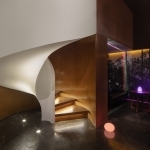 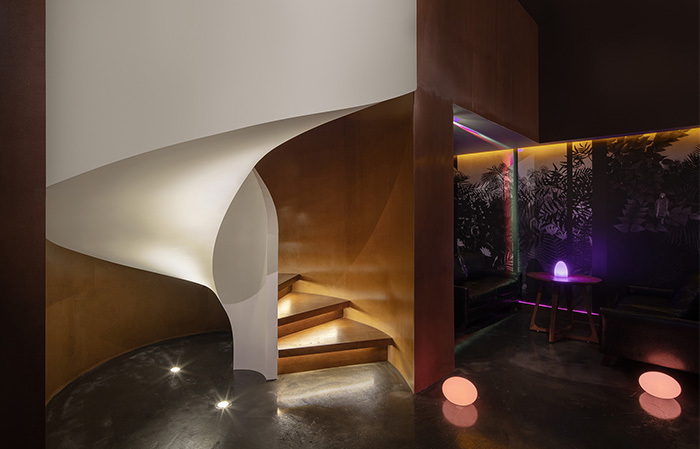 The designer divided the space into different function zones centered on the bar counter.The advantage of storey height is well taken to creat a private mazzanine seating area，which perfectly connects to the floor via a sculptural white double spiral staircase. 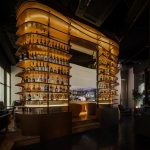 A 5 -meter- high arched wine rack decorated with perforated mirror finished stainless steel as its backplane defines the front and the back of the whole area，its translucence gives the wine rack the ability to diffuse the lights thus causing a kind of hazy beauty. 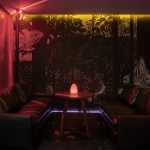 The purpose of the elevated floor is to replace counter height seating with sofas for a more laid back ，comfortable dining experience at the bar while a booth area offers a quieter ，more intimate experience.The 10-meter-long wall painting recombined is a work of Herri Rousseau，in its black and white jungle，people can see Hedge Bar’s chameleon Logo inadvertently.We hope to provide a relaxing space，where people can sit back and really enjoy how fantastic this area is. 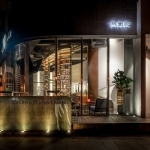 More： Urban Stream Architects & Design。更多关于他们请至： Urban Stream Architects & Design on gooood.